That’s right! You shop it. We drop it. If you find a better deal, anywhere, show us the Ad. 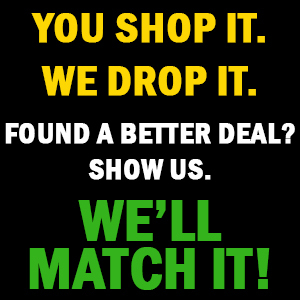 We will match the price, Guaranteed! That’s our promise to you. We care about our customers and we are honored to earn your business. Please, email a copy of the ad to jack@thunder-rode.com. We’ll get you hooked up.